MSRP $150.00. PM, call, or email for FORUM Exclusive Pricing! The Agency Power Ford Focus RS Blow Off Valve (BOV) is designed to help hold boost pressure all the way to redline, have boost come on stronger, and be more responsive. The factory bypass valve is designed with a rubber diaphragm and spring in a plastic housing. For tuned cars, this diaphragm tends to leak or not hold boost consistent. Overtime, this part can deteriorate to cause further boost failure. 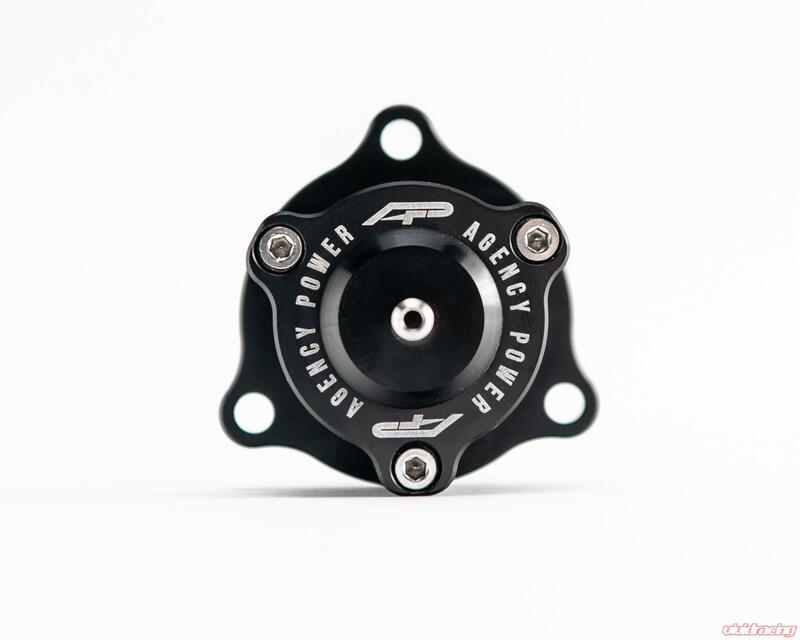 The Agency Power valve is a CNC machined 6061 aluminum body featuring a piston and spring design. Each piston has been machined with extreme attention to tolerances to ensure boost pressure accuracy. The base that sits in the turbo housing has been made to properly release boost pressure between shifts. The valve is a direct replacement and can be installed on the vehicle without removing the turbo from the car. 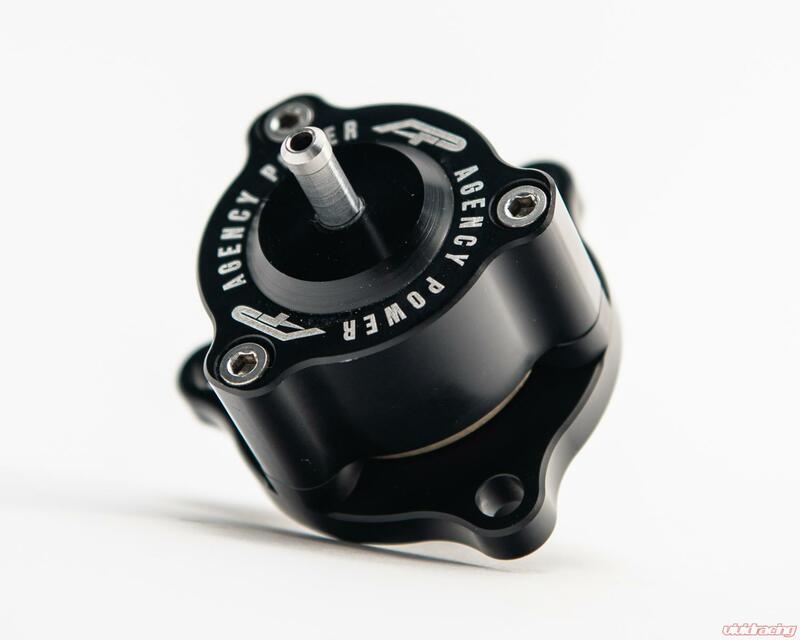 The Agency Power Blow Off Valve has been anodized in a black finish and features our logo laser engraved. Adding a vent to atmosphere Agency Power Blow Off Valve on the Focus RS is a great way to improve throttle response and hear that awesome blow off valve turbo sound. What is your Favorite BOV / Blow Off Valve for your Focus RS ! 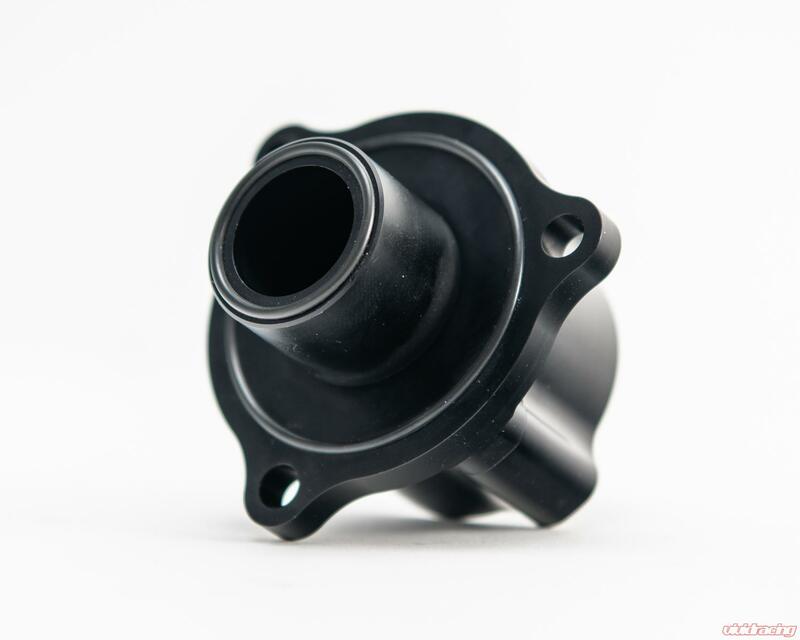 Turbosmart Kompact Shortie Dual Port Blow Off Valve for the Ford Focus RS + Discount!